This week’s letter for Frizztext’s A-Z archive photo challenge is U. 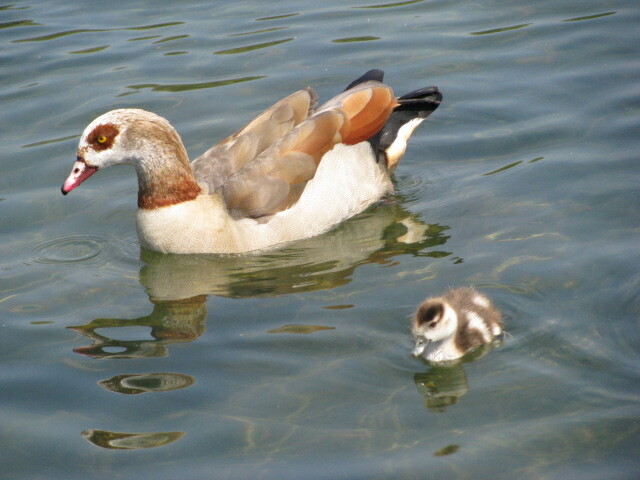 Yesterday I was walking through Hyde Park in London and I came across this family. I enjoyed watching them, but I had to wonder how the parents kept track of all the young ones and under control. Then I wondered if instead of trying to control them they just hope for the best. 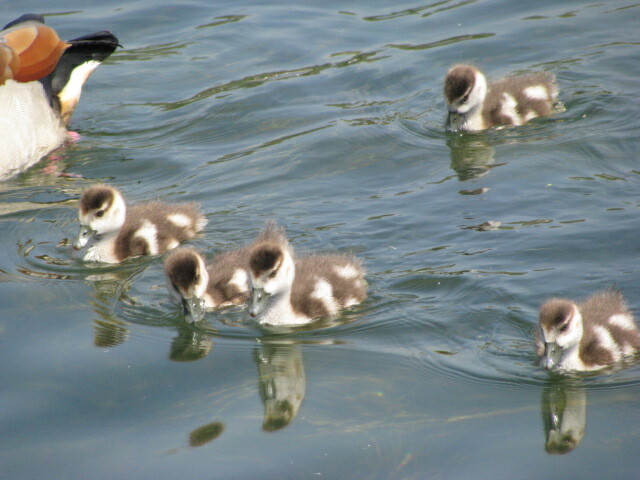 As you will see in the last picture, they swim in all different directions, even aiming at their siblings. For other entries for U please visit this page. This entry was posted in A-Z Photo Archive and tagged A-Z Archive, Baby Animals, England, Hyde Park, London, Photography, Photos. Bookmark the permalink. Thanks Nia…I hope you are having a wonderful week. During my sightseeing this week I’ve seen many families with children…I feel for the parents and admire their courage. Aww… they are so adorable! Cute ducklings!!! I like their color. Some were a little more spunky that’s for sure. You are right. When you sit and watch them they just suddenly will decide to change direction. Great photos and clever selection for challenge. I love ducklings…ducks in general really. Not sure why, but they are one of my favorite birds. They are so cute. I think I favor them as well, considering the amount of duck photos I take. Very nice pictures! I agree that the mother just probably hopes for the best! Controlling those chicks would probably be impossible! Thanks…she must have a headache at the end of each day. I think it is probably like herding cats…..pretty impossible. Minds of their own and all! 🙂 They are adorable and fuzzy and delightful!!! I wanted to take them home, but they are better off with their parents so I don’t think I could keep up. The little guys haven’t learned to fall in line yet. Or they redefined the concept. They’re beautiful – lovely feathers and coloring! I think they are so cute…baby animals are precious. I was tired and I only watched for a few minutes…the parents are amazing. I felt for the parents…what long days. 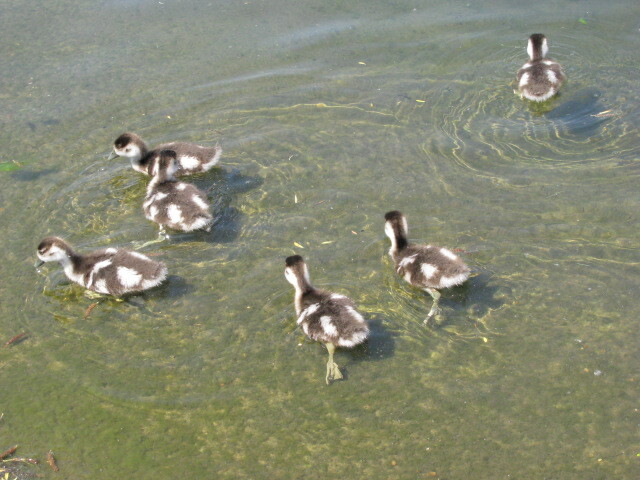 They are just so cute, even when they swimming liked crazed ducklings. I got a chuckle when I observed the last scene…playful chaos is a good way to put it. It seems like it would be quite a challenge to keep track of many kids at the same time! They must have a way of doing it, though. Nice shot and so cute! Thanks…I would be a nervous wreck. When I was a day camp counselor I was constantly counting all of the kids in my group. Thanks. I loved seeing them together.